Human Biology is an interdisciplinary area of study that examines humans through the influences and interplay of many diverse fields such as genetics, evolution, physiology, anatomy, epidemiology, anthropology, ecology, nutrition, population genetics and sociocultural influences. It is closely related to biological anthropology and other biological fields tying in various aspects of human functionality. It wasn't until the 20th Century when well known biogerontologist, Raymond Pearl author of the Journal Human Biology, phrased the term Human Biology in a way to describe a separate subsection apart from Biology. The ISS is the ninth space station to be inhabited by crews, following the Soviet and later Russian Salyut , Almaz , and Mir stations as well as Skylab from the US. The station has been continuously occupied for 18 years and 169 days since the arrival of Expedition 1 on 2 November 2000. This is the longest continuous human presence in low Earth orbit, having surpassed the previous record of 9 years and 357 days held by Mir. It has been visited by astronauts, cosmonauts and space tourists from 18 different nations. After the American Space Shuttle programme ended in 2011, Soyuz rockets became the only provider of transport for astronauts at the ISS. 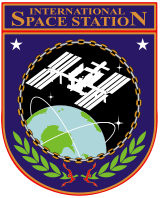 The station is serviced by a variety of visiting spacecraft: the Russian Soyuz and Progress, the American Dragon and Cygnus, the Japanese H-II Transfer Vehicle,  and formerly the American Space Shuttle and the European Automated Transfer Vehicle. The Dragon spacecraft allows the return of pressurised cargo to Earth (downmass), which is used for example to repatriate scientific experiments for further analysis. The Soyuz return capsule has minimal downmass capability next to the astronauts. Soyuz is a series of spacecraft designed for the Soviet space program by the Korolev Design Bureau in the 1960s that remains in service today. The Soyuz succeeded the Voskhod spacecraft and was originally built as part of the Soviet manned lunar programs. The Soyuz spacecraft is launched on a Soyuz rocket, the most reliable launch vehicle in the world to date. The Soyuz rocket design is based on the Vostok launcher, which in turn was based on the 8K74 or R-7A Semyorka, a Soviet intercontinental ballistic missile. All Soyuz spacecraft are launched from the Baikonur Cosmodrome in Kazakhstan. Soyuz is currently the only means for manned space flights in the world and is heavily used in the International Space Station program. To detect dark matter and answer other fundamental questions about our universe, engineers and scientists from all over the world built the Alpha Magnetic Spectrometer (AMS), which NASA compares to the Hubble Space Telescope, and says could not be accommodated on a free flying satellite platform partly because of its power requirements and data bandwidth needs. On 3 April 2013, NASA scientists reported that hints of dark matter may have been detected by the Alpha Magnetic Spectrometer. According to the scientists, "The first results from the space-borne Alpha Magnetic Spectrometer confirm an unexplained excess of high-energy positrons in Earth-bound cosmic rays." The space environment is hostile to life. Unprotected presence in space is characterised by an intense radiation field (consisting primarily of protons and other subatomic charged particles from the solar wind, in addition to cosmic rays), high vacuum, extreme temperatures, and microgravity. Some simple forms of life called extremophiles,  as well as small invertebrates called tardigrades  can survive in this environment in an extremely dry state through desiccation. Since the International Space Station is a multi-national collaborative project, the components for in-orbit assembly had to be manufactured in various factories around the world. The U.S. Modules ( Destiny and Unity ) as well as the Integrated Truss Structure and solar arrays were fabricated at the Marshall Space Flight Center and the Michoud Assembly Facility, beginning in the mid 1990s. The modules were delivered to the Operations and Checkout Building, and the Space Station Processing Facility at Kennedy Space Center for final assembly and processing for launch. Steel and aluminium sections of the truss were part contracted by Alcoa and ArcelorMittal USA, along with Boeing. 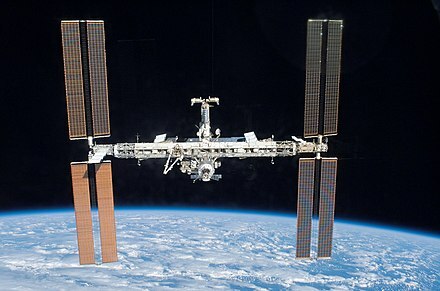 The assembly of the International Space Station, a major endeavour in space architecture, began in November 1998. Russian modules launched and docked robotically, with the exception of Rassvet . 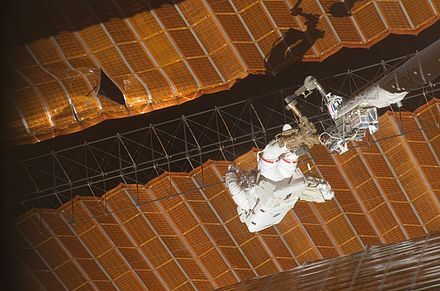 All other modules were delivered by the Space Shuttle, which required installation by ISS and shuttle crewmembers using the Canadarm2 (SSRMS) and extra-vehicular activities (EVAs); as of 5 June 2011 [update] , they had added 159 components during more than 1,000 hours of EVA (see List of ISS spacewalks). 127 of these spacewalks originated from the station, and the remaining 32 were launched from the airlocks of docked Space Shuttles. The beta angle of the station had to be considered at all times during construction, as it directly affects how long during its orbit the station (and any docked or docking spacecraft) is exposed to the sun; the Space Shuttle would not perform optimally above a limit called the "beta cutoff". Many of the modules that launched on the Space Shuttle were integrated and tested on the ground at the Space Station Processing Facility to find and correct issues prior to launch. Over the next two years, the station continued to expand. A Soyuz-U rocket delivered the Pirs docking compartment. The Space Shuttles Discovery , Atlantis , and Endeavour delivered the Destiny laboratory and Quest airlock, in addition to the station's main robot arm, the Canadarm2 , and several more segments of the Integrated Truss Structure. The gross mass of the station changes over time. The total launch mass of the modules on orbit is about 417,289 kg (919,965 lb) (as of 3 September 2011 [update] ). The mass of experiments, spare parts, personal effects, crew, foodstuff, clothing, propellants, water supplies, gas supplies, docked spacecraft, and other items add to the total mass of the station. Hydrogen gas is constantly vented overboard by the oxygen generators. The ISS is a third generation  modular space station. Modular stations can allow the mission to be changed over time and new modules can be added or removed from the existing structure, allowing greater flexibility. Zarya (Russian :Заря́; lit. dawn), also known as the Functional Cargo Block or FGB (from the Russian "Функционально-грузовой блок", Funktsionalno-gruzovoy blok or ФГБ), was the first module of the International Space Station to be launched. The FGB provided electrical power, storage, propulsion, and guidance to the ISS during the initial stage of assembly. With the launch and assembly in orbit of other modules with more specialised functionality, Zarya is now primarily used for storage, both inside the pressurised section and in the externally mounted fuel tanks. Zarya is a descendant of the TKS spacecraft designed for the Soviet Salyut programme. The name Zarya was given to the FGB because it signified the dawn of a new era of international co-operation in space. 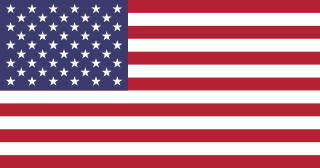 Although it was built by a Russian company, it is owned by the United States. Zarya weighs 19,300 kg (42,500 lb), is 12.55 m (41.2 ft) long and 4.1 m (13 ft) wide, discounting solar arrays. Unity , or Node 1, is one of three nodes, or passive connecting modules, in the US Orbital Segment of the station. It was the first US-built component of the Station to be launched. The module is made of aluminium and cylindrical in shape, with six berthing locations facilitating connections to other modules. Essential space station resources such as fluids, environmental control and life support systems, electrical and data systems are routed through Unity to supply work and living areas of the station. More than 50,000 mechanical items, 216 lines to carry fluids and gases, and 121 internal and external electrical cables using six miles of wire were installed in the Unity node. Prior to its launch, conical Pressurized Mating Adapters (PMAs) were attached to the aft and forward berthing mechanisms of Unity. Unity and the two mating adapters together weighed about 11,600 kg (25,600 lb). The adapters allow the docking systems used by the Space Shuttle and by Russian modules to attach to the node's hatches and berthing mechanisms. Zvezda (Russian: Звезда́, meaning "star"), also known as DOS-8, Service Module or SM (Russian: СМ). Early in the station's life, Zvezda provided all of its critical systems. It made the station permanently habitable for the first time, adding life support for up to six crew and living quarters for two. Zvezda's DMS-R computer handles guidance, navigation and control for the entire space station. A second computer which performs the same functions will be installed in the Nauka module, FGB-2. Harmony , also known as Node 2, is the second of the station's node modules and the utility hub of the USOS. The module contains four racks that provide electrical power, bus electronic data, and acts as a central connecting point for several other components via its six Common Berthing Mechanisms (CBMs). The European Columbus and Japanese Kibō laboratories are permanently berthed to the starboard and port radial ports respectively. The nadir and zenith ports can be used for docking visiting spacecraft including HTV, Dragon, and Cygnus, with the nadir port serving as the primary docking port. American Shuttle Orbiters docked with the ISS via PMA-2, attached to the forward port. Tranquility , also known as Node 3, is the third and last of the station's US nodes, it contains an additional life support system to recycle waste water for crew use and supplements oxygen generation. Like the other US nodes, it has six berthing mechanisms, five of which are currently in use. The first one connects to the station's core via the Unity module, others host the Cupola , the PMA docking port #3, the Leonardo PMM and the Bigelow Expandable Activity Module. The final zenith port remains free. 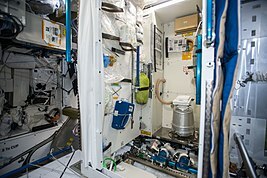 Columbus , the primary research facility for European payloads aboard the ISS, provides a generic laboratory as well as facilities specifically designed for biology, biomedical research and fluid physics. Several mounting locations are affixed to the exterior of the module, which provide power and data to external experiments such as the European Technology Exposure Facility (EuTEF), Solar Monitoring Observatory, Materials International Space Station Experiment, and Atomic Clock Ensemble in Space. A number of expansions are planned for the module to study quantum physics and cosmology. ESA's development of technologies on all the main areas of life support has been ongoing for more than 20 years and are/have been used in modules such as Columbus and the ATV. The German Aerospace Center manages ground control operations for Columbus and the ATV is controlled from the French CNES Toulouse Space Center. Kibō (Japanese : きぼう, "hope") is a laboratory and the largest ISS module. It is used for research in space medicine, biology, Earth observations, materials production, biotechnology and communications, and has facilities for growing plants and fish. During August 2011, the MAXI observatory mounted on Kibō, which uses the ISS's orbital motion to image the whole sky in the X-ray spectrum, detected for the first time the moment when a star was swallowed by a black hole. The laboratory contains 23 racks, including 10 experiment racks, and has a dedicated airlock for experiments. In a 'shirt sleeves' environment, crew attach an experiment to the sliding drawer within the airlock, close the inner, and then open the outer hatch. By extending the drawer and removing the experiment using the dedicated robotic arm, payloads are placed on the external platform. The process can be reversed and repeated quickly, allowing access to maintain external experiments without the delays caused by EVAs. The Cupola's design has been compared to the Millennium Falcon from Star Wars . Rassvet (Russian: Рассве́т; lit. "dawn"), also known as the Mini-Research Module 1 (MRM-1) (Russian: Ма́лый иссле́довательский модуль, МИМ 1) and formerly known as the Docking Cargo Module (DCM), is similar in design to the Mir Docking Module launched on STS-74 in 1995. Rassvet is primarily used for cargo storage and for docking by visiting spacecraft. 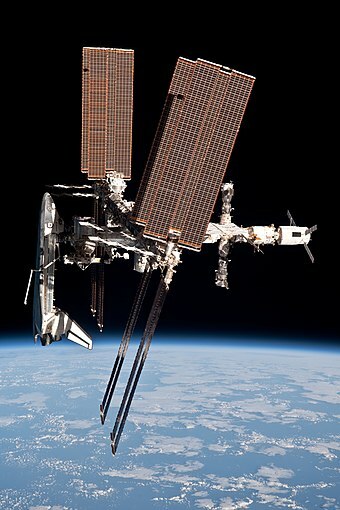 It was flown to the ISS aboard NASA's Space Shuttle Atlantis on the STS-132 mission and connected in May 2010,   Rassvet is the only Russian-owned module launched by NASA, to repay for the launch of Zarya, which is Russian designed and built, but partially paid for by NASA. Rassvet was launched with the Russian Nauka laboratory's experiments airlock temporarily attached to it, and spare parts for the European Robotic Arm. Nauka (Russian: Нау́ка; lit. "science"), also known as the Multipurpose Laboratory Module (MLM) or FGB-2 (Russian: Многофункциональный лабораторный модуль, МЛМ), is the major Russian laboratory module. It was scheduled to arrive at the station in 2014, docking to the port that was occupied by the Pirs module. Due to deterioration during many years spent in storage, it proved necessary to build a new propulsion module,  and the launch date was postponed to 2018. Before the Nauka module arrives, a Progress spacecraft will remove Pirs from the station and deorbit it to reenter over the Pacific Ocean. Nauka contains an additional set of life support systems and attitude control. Originally it would have routed power from the single Science-and-Power Platform, but that single module design changed over the first ten years of the ISS mission, and the two science modules, which attach to Nauka via the Uzlovoy Module, or Russian node, each incorporate their own large solar arrays to power Russian science experiments in the ROS. Prichal , also known as the Uzlovoy Module (UM), or Node Module is a 4-metric-ton  ball-shaped module that will allow docking of two scientific and power modules during the final stage of the station assembly, and provide the Russian segment additional docking ports to receive Soyuz MS and Progress MS spacecraft. UM is due to be launched in 2020  . It will be integrated with a special version of the Progress cargo ship and launched by a standard Soyuz rocket. Progress would use its own propulsion and flight control system to deliver and dock the Node Module to the nadir (Earth-facing) docking port of the Nauka MLM/FGB-2 module. One port is equipped with an active hybrid docking port, which enables docking with the MLM module. The remaining five ports are passive hybrids, enabling docking of Soyuz and Progress vehicles, as well as heavier modules and future spacecraft with modified docking systems. The node module was conceived to serve as the only permanent element of the future Russian successor to the ISS, OPSEK. Equipped with six docking ports, the Node Module would serve as a single permanent core of the future station with all other modules coming and going as their life span and mission required. This would be a progression beyond the ISS and Russia's modular Mir space station, which are in turn more advanced than early monolithic first generation stations such as Skylab, and early Salyut and Almaz stations. Several modules planned for the station were cancelled over the course of the ISS programme. Reasons include budgetary constraints, the modules becoming unnecessary, and station redesigns after the 2003 Columbia disaster. The US Centrifuge Accommodations Module would have hosted science experiments in varying levels of artificial gravity. The US Habitation Module would have served as the station's living quarters. Instead, the sleep stations are now spread throughout the station. The US Interim Control Module and ISS Propulsion Module would have replaced the functions of Zvezda in case of a launch failure. Two Russian Research Modules were planned for scientific research. They would have docked to a Russian Universal Docking Module. The Russian Science Power Platform would have supplied power to the Russian Orbital Segment independent of the ITS solar arrays. The Integrated Truss Structure serves as a base for the station's primary remote manipulator system, called the Mobile Servicing System (MSS), which is composed of three main components. Canadarm2, the largest robotic arm on the ISS, has a mass of 1,800 kilograms (4,000 lb) and is used to dock and manipulate spacecraft and modules on the USOS, hold crew members and equipment in place during EVAs and move Dextre around to perform tasks. Dextre is a 1,560 kg (3,440 lb) robotic manipulator with two arms, a rotating torso and has power tools, lights and video for replacing orbital replacement units (ORUs) and performing other tasks requiring fine control. The Mobile Base System (MBS) is a platform which rides on rails along the length of the station's main truss. It serves as a mobile base for Canadarm2 and Dextre, allowing the robotic arms to reach all parts of the USOS. To gain access to the Russian Segment a grapple fixture was added to Zarya on STS-134, so that Canadarm2 can inchworm itself onto the ROS. Also installed during STS-134 was the 15 m (50 ft) Orbiter Boom Sensor System (OBSS), which had been used to inspect heat shield tiles on Space Shuttle missions and can be used on station to increase the reach of the MSS. Staff on Earth or the station can operate the MSS components via remote control, performing work outside the station without space walks. Japan's Remote Manipulator System, which services the Kibō Exposed Facility,  was launched on STS-124 and is attached to the Kibō Pressurised Module. The arm is similar to the Space Shuttle arm as it is permanently attached at one end and has a latching end effector for standard grapple fixtures at the other. The European Robotic Arm, which will service the Russian Orbital Segment, will be launched alongside the Multipurpose Laboratory Module in 2017. The ROS does not require spacecraft or modules to be manipulated, as all spacecraft and modules dock automatically and may be discarded the same way. Crew use the two Strela (Russian: Стрела́; lit. Arrow) cargo cranes during EVAs for moving crew and equipment around the ROS. Each Strela crane has a mass of 45 kg (99 lb). 2 by electrolysis. Hydrogen produced is combined with carbon dioxide from the cabin atmosphere and converted to water and methane. 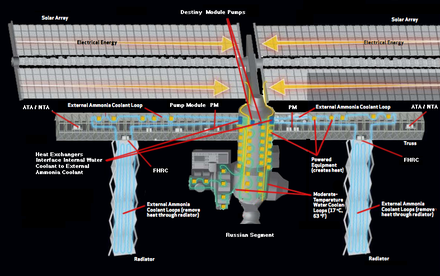 The station's systems and experiments consume a large amount of electrical power, almost all of which converts to heat. Little of this heat dissipates through the walls of the station. To keep the internal ambient temperature within comfortable, workable limits, ammonia is continuously pumped through pipes throughout the station to collect heat, then into external radiators to emit infrared radiation, then back into the station. Thus this passive thermal control system (PTCS) is made of external surface materials, insulation such as MLI, and heat pipes. The Russian Orbital Segment contains the Data Management System, which handles Guidance, Navigation and Control (ROS GNC) for the entire station. Initially, Zarya, the first module of the station, controlled the station until a short time after the Russian service module Zvezda docked and was transferred control. Zvezda contains the ESA built DMS-R Data Management System. Using two fault-tolerant computers (FTC), Zvezda computes the station's position and orbital trajectory using redundant Earth horizon sensors, Solar horizon sensors as well as Sun and star trackers. The FTCs each contain three identical processing units working in parallel and provide advanced fault-masking by majority voting. Early on 1 August 2010, a failure in cooling Loop A (starboard side), one of two external cooling loops, left the station with only half of its normal cooling capacity and zero redundancy in some systems. The problem appeared to be in the ammonia pump module that circulates the ammonia cooling fluid. Several subsystems, including two of the four CMGs, were shut down. The four Main Bus Switching Units (MBSUs, located in the S0 truss), control the routing of power from the four solar array wings to the rest of the ISS. In late 2011 MBSU-1, while still routing power correctly, ceased responding to commands or sending data confirming its health, and was scheduled to be swapped out at the next available EVA. In each MBSU, two power channels feed 160V DC from the arrays to two DC-to-DC power converters (DDCUs) that supply the 124V power used in the station. A spare MBSU was already on board, but the 30 August 2012 EVA failed to be completed when a bolt being tightened to finish installation of the spare unit jammed before the electrical connection was secured. The loss of MBSU-1 limited the station to 75% of its normal power capacity, requiring minor limitations in normal operations until the problem could be addressed. The American manual approach to docking allows greater initial flexibility and less complexity. The downside to this mode of operation is that each mission becomes unique and requires specialised training and planning, making the process more labour-intensive and expensive. The Russians pursued an automated methodology that used the crew in override or monitoring roles. Although the initial development costs were high, the system has become very reliable with standardisations that provide significant cost benefits in repetitive routine operations. An automated approach could allow assembly of modules orbiting other worlds prior to crew arrival. Approximately 30% of NASA shuttle launch delays were caused by poor weather. Occasional priority was given to the Soyuz arrivals at the station where the Soyuz carried crew with time-critical cargoes such as biological experiment materials, also causing shuttle delays. Departure of the NASA shuttle was often delayed or prioritised according to weather over its two landing sites. Whilst the Soyuz is capable of landing anywhere, anytime, its planned landing time and place is chosen to give consideration to helicopter pilots and ground recovery crew, to give acceptable flying weather and lighting conditions. Soyuz launches occur in adverse weather conditions, but the cosmodrome has been shut down on occasions when buried by snow drifts up to 6 metres in depth, hampering ground operations. There is considerable evidence that psychosocial stressors are among the most important impediments to optimal crew morale and performance. Cosmonaut Valery Ryumin wrote in his journal during a particularly difficult period on board the Salyut 6 space station: "All the conditions necessary for murder are met if you shut two men in a cabin measuring 18 feet by 20 and leave them together for two months." A study of the longest spaceflight concluded that the first three weeks are a critical period where attention is adversely affected because of the demand to adjust to the extreme change of environment. Skylab's three crews remained one, two, and three months, respectively; long-term crews on Salyut 6, Salyut 7, and the ISS last about five to six months, and Mir's expeditions often lasted longer. A controlled deorbit into a remote ocean was found to be technically feasible only with Russia's assistance. The Russian Space Agency has experience from de-orbiting the Salyut 4, 5, 6, 7 and Mir space stations; NASA's first intentional controlled de-orbit of a satellite (the Compton Gamma Ray Observatory) occurred in 2000. As of late 2010, the preferred plan is to use a slightly modified Progress spacecraft to de-orbit the ISS. This plan was seen as the simplest, cheapest and with the highest margin. Skylab , the only space station built and launched entirely by the US, decayed from orbit slowly over 5 years, and no attempt was made to de-orbit it using a deorbital burn. Remains of Skylab hit populated areas of Esperance, Western Australia  without injuries or loss of life. The Exploration Gateway Platform, a discussion by NASA and Boeing at the end of 2011, suggested using leftover USOS hardware and 'Zvezda 2' [ sic ] as a refuelling depot and service station located at one of the Earth-Moon Lagrange points, L1 or L2. The entire USOS cannot be reused and will be discarded, but some Russian modules are planned to be reused. Nauka , the Uzlovoy Module, two science power platforms and Rassvet, launched between 2010 and 2015 and joined to the ROS, may be separated to form OPSEK. Nauka will be used in the station, whose main goal is supporting manned deep space exploration. OPSEK will orbit at a higher inclination of 71 degrees, allowing observation to and from all of the Russian Federation. The ISS is visible to the naked eye as a slow-moving, bright white dot because of reflected sunlight, and can be seen in the hours after sunset and before sunrise, when the station remains sunlit but the ground and sky are dark. The ISS takes about 10 minutes to pass from one horizon to another, and will only be visible part of that time because of moving into or out of the Earth's shadow. 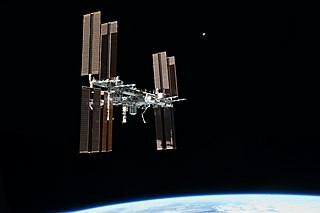 Because of the size of its reflective surface area, the ISS is the brightest artificial object in the sky, excluding flares, with an approximate maximum magnitude of −4 when overhead (similar to Venus). 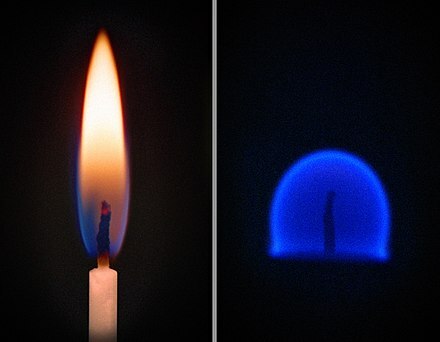 The ISS, like many satellites including the Iridium constellation, can also produce flares of up to 8 or 16 times the brightness of Venus as sunlight glints off reflective surfaces. The ISS is also visible in broad daylight, albeit with a great deal more difficulty. Some amateur astronomers also use telescopic lenses to photograph the ISS while it transits the sun, sometimes doing so during an eclipse (and so the Sun, Moon, and ISS are all positioned approximately in a single line). One example is during the 21 August solar eclipse, where at one location in Wyoming, images of the ISS were captured during the eclipse. Similar images were captured by NASA from a location in Washington. Parisian engineer and astrophotographer Thierry Legault, known for his photos of spaceships transiting the Sun, travelled to Oman in 2011 to photograph the Sun, Moon and space station all lined up. 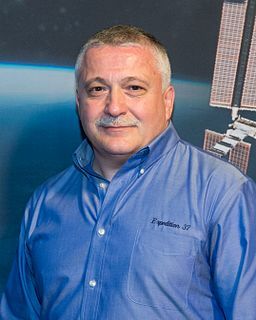 Legault, who received the Marius Jacquemetton award from the Société astronomique de France in 1999, and other hobbyists, use websites that predict when the ISS will transit the Sun or Moon and from what location those passes will be visible. 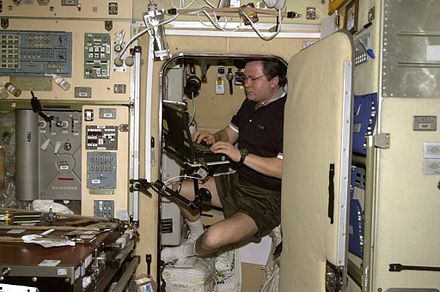 ↑ ESA director Jörg Feustel-Büechl said in 2001 that Russia had no right to send 'amateurs' to the ISS. A 'stand-off' occurred at the Johnson Space Centre between Commander Talgat Musabayev and NASA manager Robert Cabana. Cabana refused to train Dennis Tito, a member of Musabayev's crew along with Yuri Baturin. The commander argued that Tito had trained 700 hours in the last year and was as qualified as any NASA astronaut, and refused to allow his crew to be trained on the American portions of the station without Tito. Cabana stated training could not begin, and the commander returned with his crew to their hotel. Yuri Pavlovich Gidzenko is a Russian cosmonaut. He was a test cosmonaut of the Yuri Gagarin Cosmonaut Training Center (TsPK). Gidzenko has flown into space three times and has lived on board the Mir and International Space Stations. He has also conducted two career spacewalks. Although he retired on July 15, 2001, he continued his employment by a special contract until Soyuz TM-34 concluded. Since 2004 to May 2009, Gidzenko was the Director of the 3rd department within the TsPK. Since May 2009 he serves as the Deputy Chief of Cosmonaut Training Center TsPK. Soyuz TM-31 was the first Soyuz spacecraft to dock with the International Space Station (ISS). This Soyuz-TM spacecraft carried the members of Expedition 1, the first long-duration ISS crew. It was launched from Russia at 07:52 UT on October 31, 2000 by a Soyuz-U rocket. Paolo Angelo Nespoli is an Italian astronaut and engineer of the European Space Agency (ESA). In 2007, he first traveled into space aboard the Space Shuttle Discovery as a mission specialist of STS-120. In December 2010 he again traveled into space aboard the Soyuz TMA-20 spacecraft as an Expedition 26/27 flight engineer. Nespoli's third spaceflight was onboard Soyuz MS-05 which launched in July 2017 for Expedition 52/53. He was also the European Space Agency's oldest active astronaut prior to his retirement in 2019. Rassvet, also known as the Mini-Research Module 1 (MRM-1) and formerly known as the Docking Cargo Module (DCM), is a component of the International Space Station (ISS). The module's design is similar to the Mir Docking Module launched on STS-74 in 1995. Rassvet is primarily used for cargo storage and as a docking port for visiting spacecraft. It was flown to the ISS aboard Space ShuttleAtlantis on the STS-132 mission on May 14, 2010, and was connected to the ISS on May 18. The hatch connecting Rassvet with the ISS was first opened on May 20. 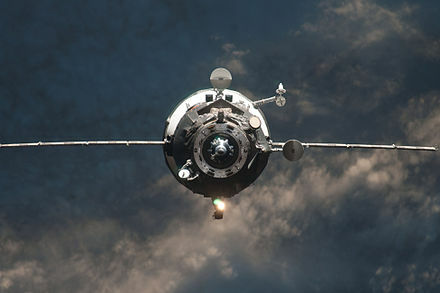 On 28 June 2010, the Soyuz TMA-19 spacecraft performed the first docking with the module. The process of assembling the International Space Station (ISS) has been under way since the 1990s. 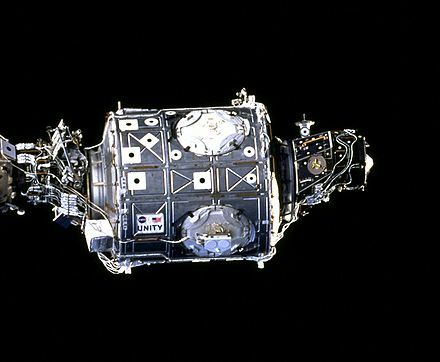 Zarya, the first ISS module, was launched by a Proton rocket on November 20, 1998. 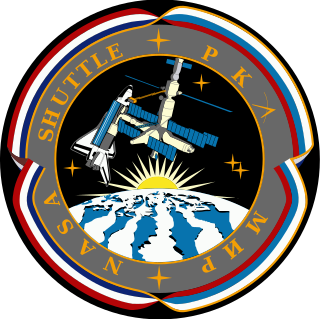 The STS-88 shuttle mission followed two weeks after Zarya was launched, bringing Unity, the first of three node modules, and connecting it to Zarya. This bare 2-module core of the ISS remained unmanned for the next one and a half years, until in July 2000 the Russian module Zvezda was launched by a Proton rocket, allowing a maximum crew of two astronauts or cosmonauts to be on the ISS permanently. Soyuz TMA-17 was a human spaceflight mission to the International Space Station (ISS). 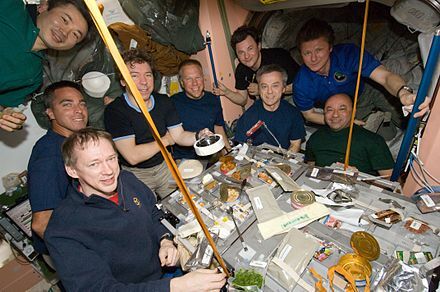 TMA-17 crew members participated in ISS Expedition 22 and Expedition 23. The mission ended when the Soyuz TMA-17 capsule landed on June 2, 2010. Poisk, also known as the Mini-Research Module 2, Малый исследовательский модуль 2, or МИМ 2, is a docking module of the International Space Station. Its original name was Docking Module 2, as it is almost identical to the Pirs Docking Compartment. Added in 2009, Poisk was the first major Russian addition to the International Space Station since 2001. Poisk is overall the same design as a docking module Pirs. Whereas Pirs has been attached to the nadir ("bottom") port of Zvezda module, Poisk is attached to the zenith ("top"); Pirs is closer to the Earth with the ISS in its usual orientation, and Poisk is on the other side. Poisk is Russian for explore or search. Poisk combines various docking, EVA, and science capabilities. It has two egress hatches for EVA's in addition to the two spacecraft docking ports. Although Poisk is designated as Mini-Research Module 2, it arrived before Mini-Research Module 1 (Rassvet), which had a different design; Poisk looks more like the Pirs docking port, which is not designated as a mini-research module. The Johannes Kepler ATV, or Automated Transfer Vehicle 002 (ATV-002), was an unmanned cargo spacecraft built to resupply the International Space Station (ISS). It was launched on 16 February 2011 by the European Space Agency (ESA). Johannes Kepler carried propellant, air and dry cargo weighing over 7,000 kilograms (15,000 lb), and had a total mass of over 20,000 kilograms (44,000 lb), making it, at the time, the heaviest payload launched by the ESA. The spacecraft was named after the 17th-century German astronomer Johannes Kepler. Progress M-04M, identified by NASA as Progress 36P, is a Russian Progress spacecraft which was launched in February 2010 to resupply the International Space Station. It was docked with the aft port of the Zvezda module of the station. 1 2 Garcia, Mark (9 May 2018). "About the Space Station: Facts and Figures". NASA . Retrieved 21 June 2018. ↑ "Space to Ground: Friending the ISS: 06/03/2016". YouTube.com. NASA. 3 June 2016. 1 2 3 4 5 6 7 8 9 10 Peat, Chris (28 September 2018). "ISS – Orbit". Heavens-Above . Retrieved 28 September 2018. 1 2 3 4 NASA (18 February 2010). "On-Orbit Elements" (PDF). NASA. Archived from the original (PDF) on 29 October 2009. Retrieved 19 June 2010. ↑ "First crew starts living and working on the International Space Station". European Space Agency. 31 October 2000. ↑ "Oct. 31, 2000, Launch of First Crew to International Space Station". NASA. 28 October 2015. 1 2 3 4 Catchpole, John E. (17 June 2008). The International Space Station: Building for the Future. Springer-Praxis. ISBN 978-0-387-78144-0. 1 2 3 "International Space Station Overview". ShuttlePressKit.com. 3 June 1999. Retrieved 17 February 2009. 1 2 3 4 5 "Fields of Research". NASA. 26 June 2007. Archived from the original on 23 January 2008. 1 2 "Getting on Board". NASA. 26 June 2007. Archived from the original on 8 December 2007. 1 2 "ISS Research Program". NASA. Archived from the original on 13 February 2009. Retrieved 27 February 2009. 1 2 "Current ISS Tracking data". NASA. 15 December 2008. Retrieved 28 January 2009. 1 2 3 4 5 6 7 8 9 10 11 12 13 14 15 Gary Kitmacher (2006). Reference Guide to the International Space Station. Canada: Apogee Books. pp. 71–80. ISBN 978-1-894959-34-6. ISSN 1496-6921. ↑ "Human Spaceflight and Exploration—European Participating States". European Space Agency (ESA). 2009. Retrieved 17 January 2009. 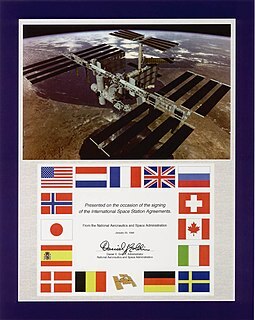 ↑ "International Space Station legal framework". European Space Agency (ESA). 19 November 2013. Retrieved 21 February 2015. 1 2 Grush, Loren (24 January 2018). "Trump administration wants to end NASA funding for the International Space Station by 2025". The Verge. Retrieved 24 April 2018. ↑ Clark, Stephen (11 March 2010). "Space station partners set 2028 as certification goal". Spaceflight Now. Retrieved 1 June 2011. 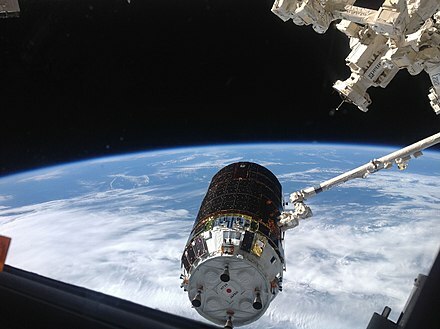 ↑ "Canada's space station commitment renewed". CBC News. 29 February 2012. 1 2 de Selding, Peter B. (25 February 2015). "Russia — and Its Modules — To Part Ways with ISS in 2024". Space News. Retrieved 26 February 2015. ↑ Bodner, Matthew (17 November 2014). "Russia May Be Planning National Space Station to Replace ISS". The Moscow Times. Retrieved 3 March 2015. ↑ Visitors to the Station by Country NASA, 2019-03-14. ↑ "Memorandum of Understanding Between the National Aeronautics and Space Administration of the United States of America and the Russian Space Agency Concerning Cooperation on the Civil International Space Station". NASA. 29 January 1998. Retrieved 19 April 2009. ↑ "National Space Policy of the United States of America" (PDF). White House; USA Federal government. Retrieved 20 July 2011. 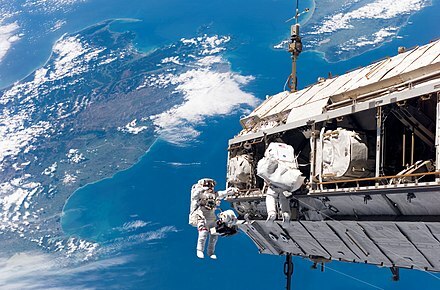 ↑ "Nations Around the World Mark 10th Anniversary of International Space Station". NASA. 17 November 2008. Retrieved 6 March 2009. 1 2 3 Oberg, James (2005). "International Space Station". World Book Online Reference Center. Retrieved 3 April 2016. ↑ "Monitor of All-sky X-ray Image (MAXI)". JAXA. 2008. Retrieved 12 March 2011. ↑ "The International Space Station: life in space". Science in School. 10 December 2008. Retrieved 17 February 2009. ↑ NASA – AMS to Focus on Invisible Universe. Nasa.gov (18 March 2011). Retrieved 8 October 2011. ↑ In Search of Antimatter Galaxies – NASA Science. Science.nasa.gov (16 May 2011). Retrieved 8 October 2011. ↑ Staff (3 April 2013). "First Result from the Alpha Magnetic Spectrometer Experiment". AMS Collaboration. Retrieved 3 April 2013. ↑ Heilprin, John; Borenstein, Seth (3 April 2013). "Scientists find hint of dark matter from cosmos". Associated Press. Retrieved 3 April 2013. ↑ Amos, Jonathan (3 April 2013). "Alpha Magnetic Spectrometer zeroes in on dark matter". BBC News . Retrieved 3 April 2013. ↑ Perrotto, Trent J.; Byerly, Josh (2 April 2013). "NASA TV Briefing Discusses Alpha Magnetic Spectrometer Results". NASA . Retrieved 3 April 2013. ↑ Overbye, Dennis (3 April 2013). "New Clues to the Mystery of Dark Matter". The New York Times . Retrieved 3 April 2013. ↑ G Horneck, DM Klaus & RL Mancinelli (March 2010). "Space Microbiology, section Space Environment (p. 122)" (PDF). Microbiology and Molecular Biology Reviews. Archived from the original (PDF) on 30 August 2011. Retrieved 4 June 2011. ↑ Jonathan Amos (23 August 2010). "Beer microbes live 553 days outside ISS". BBC News . Retrieved 4 June 2011. 1 2 3 Jay Buckey (23 February 2006). Space Physiology. Oxford University Press USA. ISBN 978-0-19-513725-5. ↑ List Grossman (24 July 2009). "Ion engine could one day power 39-day trips to Mars". New Scientist. Retrieved 8 January 2010. ↑ Brooke Boen (1 May 2009). "Advanced Diagnostic Ultrasound in Microgravity (ADUM)". NASA. Archived from the original on 29 October 2009. Retrieved 1 October 2009. ↑ Rao, Sishir; et al. (May 2008). "A Pilot Study of Comprehensive Ultrasound Education at the Wayne State University School of Medicine". Journal of Ultrasound in Medicine. 27 (5): 745–749. doi:10.7863/jum.2008.27.5.745. PMID 18424650. ↑ Fincke, E. Michael; et al. (February 2005). "Evaluation of Shoulder Integrity in Space: First Report of Musculoskeletal US on the International Space Station". Radiology. 234 (2): 319–322. doi:10.1148/radiol.2342041680. PMID 15533948. ↑ May, Sandra, ed. (15 February 2012). "What Is Microgravity?". NASA Knows! (Grades 5-8). Retrieved 3 September 2018. ↑ "European Users Guide to Low Gravity Platforms". European Space Agency. 6 December 2005. Archived from the original on 2 April 2013. Retrieved 22 March 2013. ↑ "Materials Science 101". Science@NASA. 15 September 1999. Archived from the original on 14 June 2009. Retrieved 18 June 2009. ↑ "Mars500 study overview". ESA. 4 June 2011. 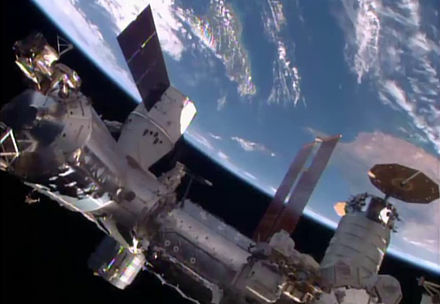 ↑ "Space station may be site for next mock Mars mission". New Scientist. 4 November 2011. ↑ "The Sustainable Utilisation of the ISS Beyond 2015" (PDF). International Astronautical Congress. Archived from the original (PDF) on 26 April 2012. Retrieved 15 December 2011. ↑ de Selding, Peter B. (3 February 2010). "ESA Chief Lauds Renewed U.S. Commitment to Space Station, Earth Science". Space News. ↑ "Charlie Bolden". space.com. 4 June 2011. ↑ Gro Mjeldheim Sandal; Dietrich Manzey (December 2009). "Cross-cultural issues in space operations: A survey study among ground personnel of the European Space Agency". Acta Astronautica. 65 (11–12): 1520–1529. Bibcode:2009AcAau..65.1520S. doi:10.1016/j.actaastro.2009.03.074. ↑ "Online Materials". European Space Agency. Retrieved 3 April 2016. 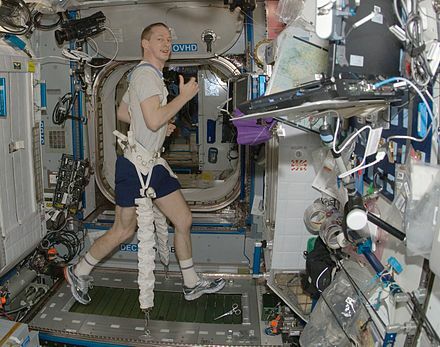 ↑ "ISS 3-D Teaching Tool: Spaceflight Challenge I". European Space Agency. 24 May 2011. Retrieved 8 October 2011. ↑ Building Peace in Young Minds through Space Education (PDF). Committee on the Peaceful Uses of Outer Space, 53rd Session. June 2010. Vienna, Austria. JAXA. June 2010. ↑ "JAXA Spaceflight Seeds Kids I : Spaceflight Sunflower seeds – Let's make them flower! and learn freshly the Earth environment just by contrast with the Space one". JAXA. 2006. Archived from the original on 18 March 2012. ↑ "JAXA Seeds in Space I : Let's Cultivate Spaceflight Asagao (Japanese morning glory), Miyako-gusa (Japanese bird's foot trefoil) Seeds and Identify the Mutants!". JAXA. 2006. Archived from the original on 18 March 2012. ↑ Keiji Murakami (14 October 2009). "JEM Utilization Overview" (PDF). JAXA. 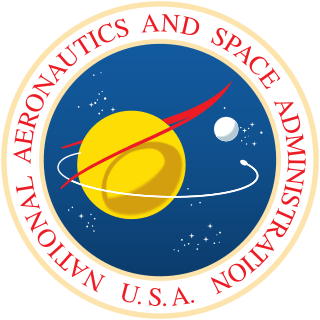 Steering Committee for the Decadal Survey on Biological and Physical Sciences in Space. ↑ Tetsuo Tanaka. "Kibo: Japan's First Human Space Facility". JAXA. Retrieved 8 October 2011. ↑ "Amateur Radio on the International Space Station". 6 June 2011. Archived from the original on 27 May 2011. Retrieved 10 June 2011. ↑ Riley, Christopher (11 April 2011). "What Yuri Gagarin saw: First Orbit film to reveal the view from Vostok 1". The Guardian. London. 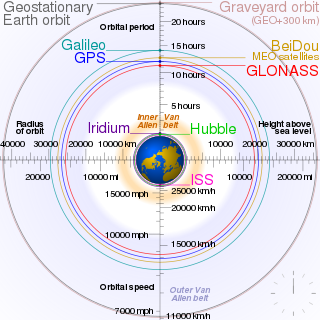 ↑ "Yuri Gagarin's First Orbit – FAQs". Firstorbit.org. Retrieved 1 May 2012. ↑ Warr, Philippa (13 May 2013). "Commander Hadfield bids farewell to ISS with Reddit-inspired Bowie cover". Wired.co.uk. Archived from the original on 12 October 2013. Retrieved 22 October 2013. ↑ Davis, Lauren. "Chris Hadfield sings 'Space Oddity' in the first music video in space". io9. ↑ Mabbett, Andy. "Close encounters of the Wikipedia kind: Astronaut is first to specifically contribute to Wikipedia from space – Wikimedia Blog". [Wikimedia foundation. Retrieved 4 December 2017. ↑ Petris, Antonella (1 December 2017). "Primo contributo 'extraterrestre' su Wikipedia: è di Nespoli". Meteo Web (in Italian). Retrieved 4 December 2017. ↑ Harbaugh, Jennifer, ed. (19 February 2016). "Manufacturing Key Parts of the International Space Station: Unity and Destiny". NASA. Retrieved 15 February 2019. ↑ "Companies involved with ISS". European Space Agency. 19 July 2004. 1 2 "The ISS to Date". NASA. 9 March 2011. Retrieved 21 March 2011. ↑ Derek Hassman, NASA Flight Director (1 December 2002). "MCC Answers". NASA. Retrieved 14 June 2009. ↑ "STS-88". Science.ksc.nasa.gov. Retrieved 19 April 2011. ↑ Brad Liston (2 November 2000). "Upward Bound: Tales of Space Station Alpha". Time. Retrieved 5 August 2010. 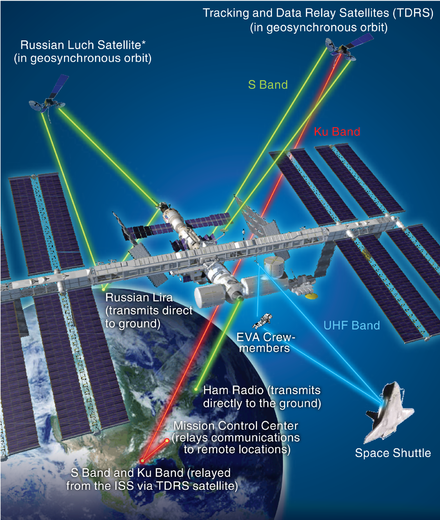 ↑ "Space Station – Impact on the expanded Russian role of funding and research" (PDF). United State General Accounting Office. 21 June 1994. Retrieved 9 August 2010. 1 2 Alan Ladwig (3 November 2000). "Call Bill Shepherd the Alpha Male of the International Space Station". Space.com. Archived from the original on 23 May 2009. Retrieved 9 August 2010. ↑ Todd Halvorson (2 November 2000). "Expedition One Crew Wins Bid To Name Space Station Alpha". Space.com. Archived from the original on 23 May 2009. Retrieved 9 August 2010. ↑ "Interview with RSC Energia's Yuri Semenov". Space.com. 3 September 2001. Retrieved 22 August 2010. ↑ "Interview with Yuri Semenov, general designer of Space Rocket corporation Energy". Voice of Russia. 21 March 2001. Archived from the original on 18 March 2012. Retrieved 5 October 2010. ↑ "STS-92". Science.ksc.nasa.gov. Retrieved 19 April 2011. ↑ Chris Bergin (26 July 2005). "Discovery launches—The Shuttle is back". NASASpaceflight.com. Retrieved 6 March 2009. ↑ "Mini-Research Module 1 (MIM1) Rassvet (MRM-1)". Russianspaceweb.com. Archived from the original on 25 August 2011. Retrieved 12 July 2011. ↑ "STS-133". NASA. Retrieved 1 September 2014. ↑ "STS-134". NASA. Retrieved 1 September 2014. ↑ "Russia works on a new-generation space module". Russianspaceweb.com. Archived from the original on 8 April 2016. Retrieved 29 November 2015. ↑ "NASA – The ISS to Date (03/09/2011)". Nasa.gov. Retrieved 12 July 2011. ↑ "DLR – International Space Station ISS – From Cold War to international cooperation – the story of the ISS". Dlr.de. Retrieved 1 May 2012. ↑ "Third Generation Soviet Space Systems". Astronautix.com. Archived from the original on 18 June 2012. Retrieved 1 May 2012. ↑ "A History of U.S. Space Stations" (PDF). Spaceflight.nasa.gov. Retrieved 10 August 2017. 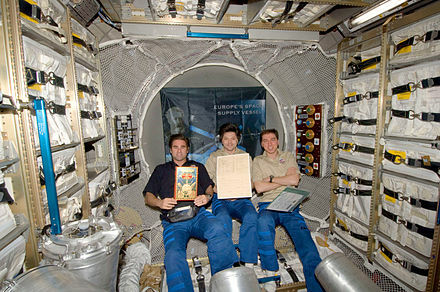 ↑ "Space Station | Russian Space History". Pbs.org. Retrieved 1 May 2012. ↑ Cáceres, Marco (14 July 2014). "When Keeping the Space Station Open Suddenly Became a Cause Célèbre". The Huffington Post. Retrieved 11 September 2016. 1 2 Lewis, Cathleen (19 August 2015). "Zvezda Service Module Celebrates 15 Years in Orbit". Smithsonian National Air and Space Museum. Retrieved 11 September 2016. 1 2 3 "DMS-R: ESA's Data Management System for the Russian Segment of the ISS". ↑ Oberg, James (1 May 2007). "Space station lights its 'big engines'". NBC News. Retrieved 11 September 2016. ↑ Pappalardo, Joe (1 March 2007). "How does the International Space Station dodge space junk?". Air & Space/Smithsonian . Retrieved 11 September 2016. ↑ "NASA—US Destiny Laboratory". NASA. 26 March 2007. Retrieved 26 June 2007. ↑ "Space Station Extravehicular Activity". NASA. 4 April 2004. Retrieved 11 March 2009. ↑ "Mir close calls". Russianspaceweb.com. Retrieved 1 May 2012. ↑ "Pirs Docking Compartment". NASA. 10 May 2006. Retrieved 28 March 2009. ↑ Chris Bergin (10 January 2008). "PRCB plan STS-122 for NET Feb 7—three launches in 10–11 weeks". NASASpaceflight.com . Retrieved 12 January 2008. ↑ "Columbus laboratory". European Space Agency (ESA). 10 January 2009. Retrieved 6 March 2009. ↑ JAXA (30 March 2007). "Monitor of All-sky X-ray Image (MAXI): Experiment – Kibo Japanese Experimental Module – JAXA". Kibo.jaxa.jp. Archived from the original on 28 April 2012. Retrieved 1 May 2012. ↑ "JAXA | Scientific paper in Nature using the Monitor of All-sky X-ray Image (MAXI) on Kibo and the Swift satellite (USA) observations – First observation of a massive black hole swallowing a star". Jaxa.jp. Retrieved 1 May 2012.